Our Moon Walk is BACK for 2016! 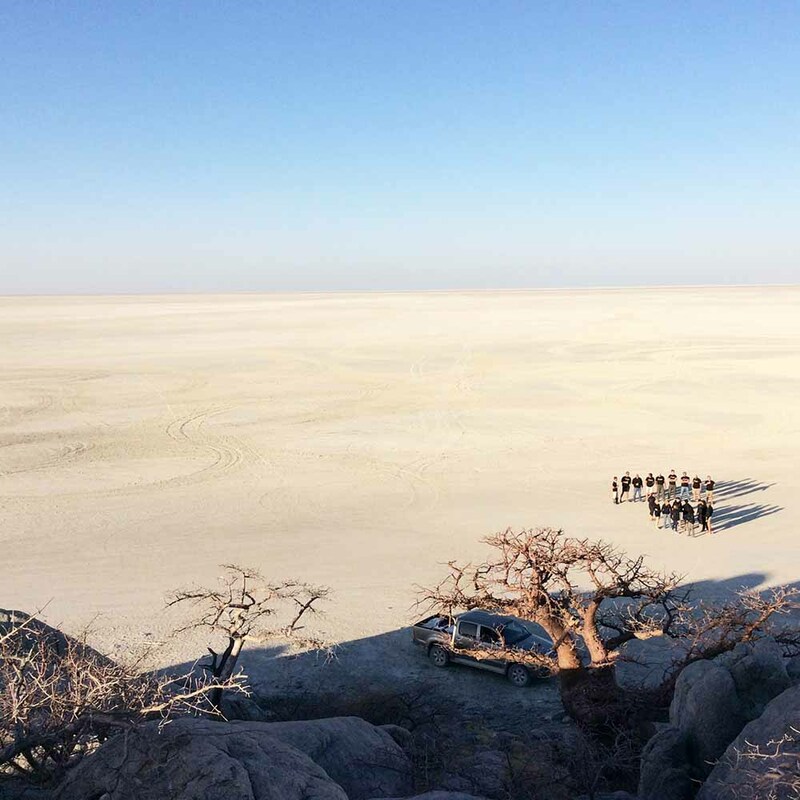 Only this time it’s an even bigger challenge for the ladies walking across the famed Makgadikgadi salt pans to raise awareness for breast cancer in Botswana. 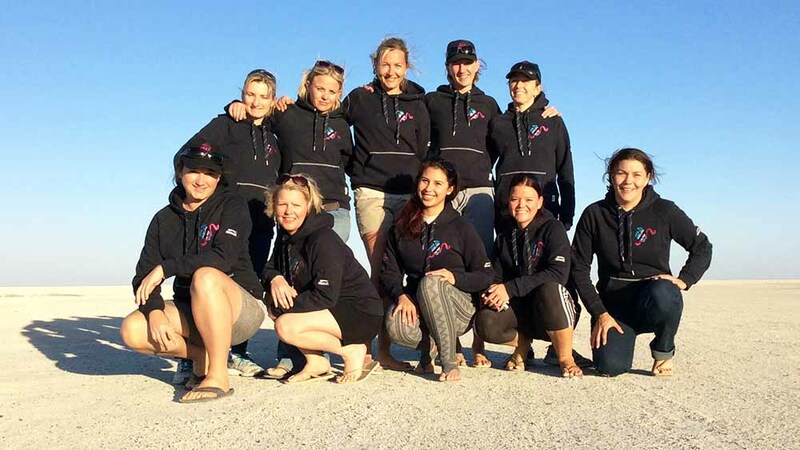 On the 18th of August 2016, over full moon, our 10 ladies many who walked last year and a few new walkers who have joined will now be attempting the famous comrade’s marathon distance of 90km and others aiming for an ultra-marathon distance of 56km again across the renowned Makgadikgadi salt pans, both considerable challenges to undertake with no sleep, through the day and night and with the harsh conditions of the cold and the daytime heat that one can expect in August on the pans at this time of the year. The volunteer Walkers and crew are all affiliated to the Botswana tourism industry in one way or another, giving their time, their dedication and their commitment together with the Sponsors who combined make this all possible – creating the awareness and raising funds for Breast cancer here in Botswana. Why this challenge? All in the name of charity. The ladies will be raising awareness for breast cancer in Botswana, and hope to increase and potentially double their incredible achievement of BWP 160’000.000 that was raised last year. All funds will be going to Journey of Hope, a non-profit organisation www.joh.org.bw (Visit our Facebook page for more details). The overall support for this challenge from the Tourism industry within Botswana has been outstanding, proving once again that community spirit combined with commitment to helping and assisting to provide for others within the country we call home. Our Sponsors for this year’s walk include African Horseback Safaris, Kalahari Kanvas, Kavango Engineering, Machaba Safaris, Major Blue Air, MIDAS, Ngamiland Adventure Safaris, Safari Destinations, Time Travel, Wilderness Safaris, Letaka safaris, Travel Adventures Botswana, Deception Valley lodge, Sense of Africa Botswana, Air Shakawe, Mack Air, Kalahari insurance, Guma Lagoon Camp, Muchenje safari lodge, Buy & build, Accpro and JG Afrika. Without the support of these sponsors, initiatives such as these would not be possible and we are thrilled to be a part of a small town with big ambitions! To our Sponsors – Supporting the walkers, admiring the Challenge and Honouring the Cause!